A few months ago, during Robert Grenier's most recent visit to Philadelphia, I sat with him — joined by Bob Perelman and Ron Silliman — and talked about his life and work in the early period, covering roughly 1958 through 1964. We talked a lot about his experience (in two stints) at Harvard. 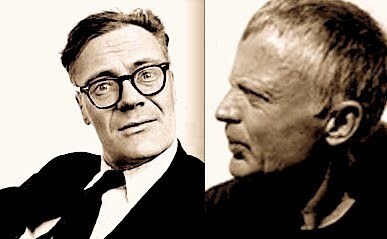 During the second of these he met and was taught by Robert Lowell. In between he wandered to San Francisco and met Robert Creeley in New Mexico. The recording of this 1 hour, 16 minute discussion is available on the Grenier author page at PennSound. Here is a direct link to the audio.